In its urban structure and its architecture, Verona is an outstanding example of a town that has developed progressively and uninterruptedly over 2,000 years, incorporating artistic elements of the highest quality from each succeeding period. It also represents in an exceptional way the concept of the fortified town at several seminal stages of European history. The city is situated in northern Italy at the foot of Monte Lessini on the River Adige. It was founded by ancient tribes and became a Roman colony in the 1st century BC, rising rapidly in importance. It was occupied by the Ostrogoth Theodoric I (5th century), by the Lombards, and by Charlemagne (774). In the early 12th century, it became an independent commune, suffering during the wars of Guelphs and Ghibellines. It prospered under the rule of the Scaliger family and particularly under Cangrande I. It fell to Venice in 1405, was part of the Austrian Empire from 1797, and joined the Kingdom of Italy in 1866. The core of the city consists of the Roman town in the loop of the river. The Scaligers rebuilt the walls, embracing a much larger territory in the west and another vast area on the east bank of the river. This remained the size of the city until the 20th century. The heart of Verona is the ensemble consisting of the Piazza delle Erbe (with its picturesque vegetable market) and the Piazza dei Signori, with their historic buildings, including the Palazzo del Comune, Palazzo del Governo, Loggia del Consiglio, Arche Scaligere and Domus Nova. The Piazza Bra has a number of classicist buildings. In the north of Italy, Verona is one of the richest cities in Roman remains. These include the Porta Borsari, a city gate at the beginning of the decumanus maximus; the Porta Leoni, only half of which remains, attached to a later building; the Arco dei Gavi, dismantled in the Napoleonic period and rebuilt next to Castelvecchio in the 1930s; the Ponte Pietra; the Roman theatre, excavated in the mid-19th century and restored for use in spectacles; and the Amphitheatre Arena, the second-largest after the Colosseum in Rome (originally a wall of three orders surrounded it, but this collapsed in an earthquake in the 12th century). Despite all the history which can be found in Verona, it is still best know for someone who never once visited: William Shakespeare. The story of Romeo and Juliette still is a huge draw for the city. The House of Juliette is a tourist attraction run by the city and there is a bronze statue of Juliette in the courtyard of the house underneath a balcony. The attractions related to a fictional story by a 16th Century English playwright are not what make Verona a world heritage site, however. 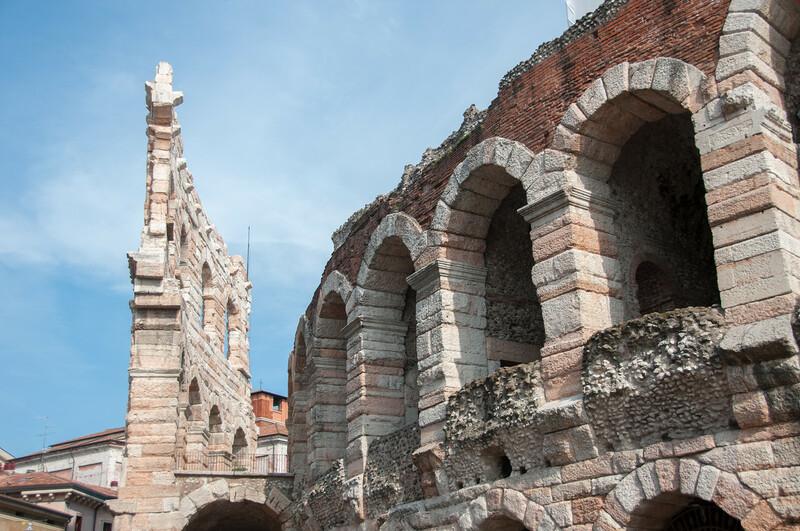 Verona dates back to the Romans and their presence is felt by the largest and most significant attraction in the city: the Roman Arena. The Verona Roman Arena is one of the best preserved Roman amphitheaters in the world. It still is used to host performances. Verona also has a host of fortifications which ring the city which harken back to its days as a city state. Verona is best seen as an attraction in itself but can be visited on a day trip from Venice, which is only 1 hour away by train. The City of Verona is a cultural UNESCO World Heritage Site in Italy. It was inscribed in the year 2000 owing to its artistic heritage. The city is located along the Adige River with more than a quarter of a million inhabitants. It is also one of Italy’s most popular tourist destinations. Part of its popularity is also the reason why it was recognized by UNESCO as a World Heritage Site. One of the most important structures in the city is the Arena. This is an ancient amphitheater built by the Romans wherein performances such as operas, shows, and annual fairs are held during lyrical season. 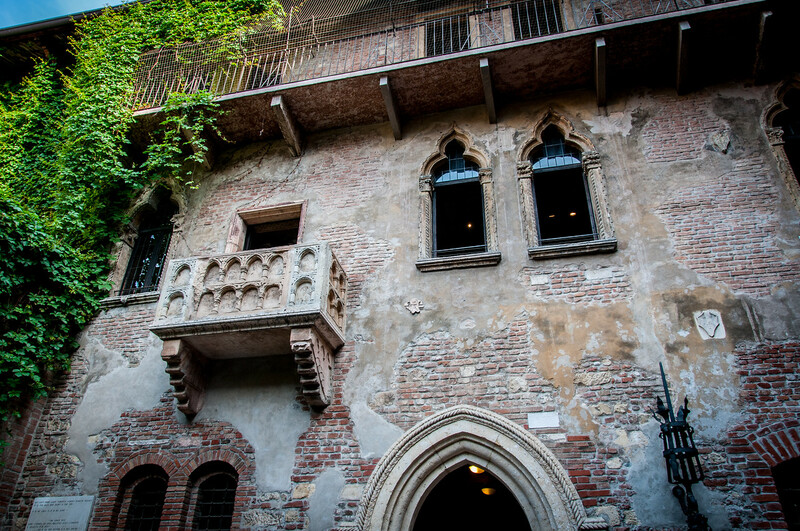 The City of Verona was also popularized by the plays of Shakespeare: “Romeo and Juliet”, “The Two Gentlemen of Verona”, and “The Taming of the Shrew”. Despite these plays, it is unclear if Shakespeare ever visited Verona prior to writing these plays. The City of Verona is one of the 51 UNESCO World Heritage Sites in Italy. This city of visual stunning excellence encompasses over 2,000 years of history within its 77 square miles of land area. It is one of the best examples of the harmonious blend of artistic elements with influences from the diverse epochs it has gone through. Its geographic location is part of the reason why it has transformed into an important urban center in the province of Veneto in Italy. To be specific, there are several ruins from the time of the Roman rulers in the 1st century BC. Some of these ruins and structures that hint of a Roman past include the archaeological site of Porta Leoni, the Gavi Arch at Porta Borsari, and the Arena of the Roman Theatre. The city experienced the height of its splendor during the Scaliger Dynasty, which is around the 13th to the 14th centuries. The City of Verona also experienced other periods of success during the Swabian reign up to the French and Austrian dominations. If there is truly one city that serves as the face of Italian history, it would be the City of Verona. From the works left by the Romans, the palazzi of the Renaissance, to the Medieval towns, it has visual evidence of that too. Piazza delle Erbe: This is the location of the original Roman Forum. It represents the various historical moments of the city. It features 13th-century buildings, central statue from the Roman epoch, the Madonna Verona fountain, and more. 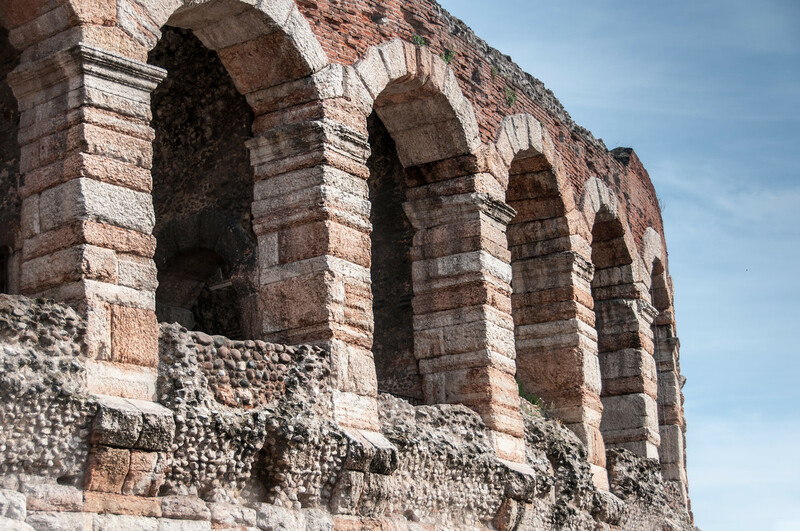 Roman Theatre: The ancient Roman Theatre is another key monument within the City of Verona. It is built on the sloping side of a gorgeous hill. 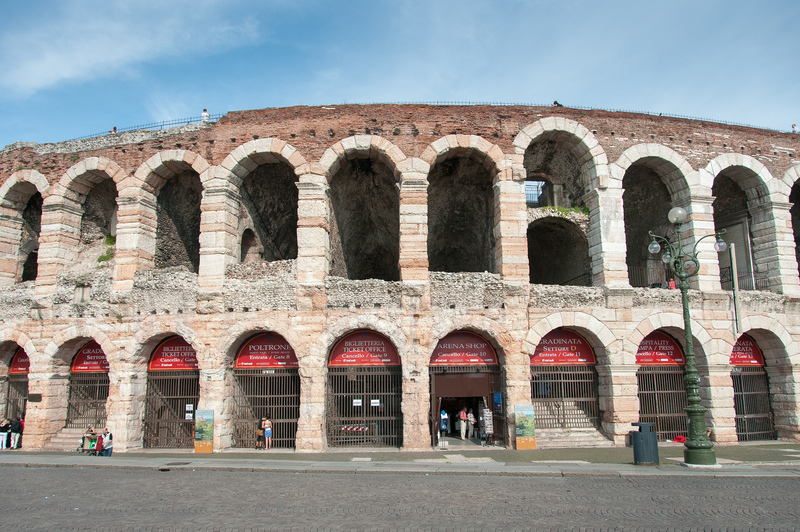 The Arena: This is another monument of the Roman rule in the City of Verona. It was built in the first Century BC. It was built to host gladiator combats and then experienced a long period of abandonment. Scaliger Arches: This is a group of five Gothic funerary monuments in Verona, Italy. It aims to celebrate the Scaliger family, which is one of the dynasties that ruled Verona. Piazza dei Signori: This is a square within the City of Verona and served as the former center of power within the city. Lamberti Towers: It is the tallest tower in Verona rising up to 84 meters high. It is located within Piazza Erbe. It was built in 1172 by the powerful Lamberti family. View my complete list of UNESCO World Heritage Sites in Italy.